Willamette Ball and Cone Valves have full bore unobstructed waterways resulting in the lowest (negligible) amount of head loss compared to any inline Plug-Gate Butterfly or Check Valve. 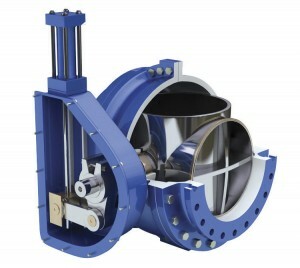 Both the Ball and Cone valves utilize unique link and lever torque units to permit very controlled opening and closing. These valves are ideally suited for pump stop/start and check service, controlling flow discharge to prevent pressure surges. Also highly recommended for high velocities (above 15 FPS) flow control or buried service with critical isolation applications. Ruggedly designed with metal to metal seating to last for decades. Hundreds still operating satisfactorily for over 40 years. Fully automatic Electric, Hydraulic or Pneumatic operators or Manual Hand Wheel operated. Ratings 125, 150, 300 PSI service.